Good news folks! 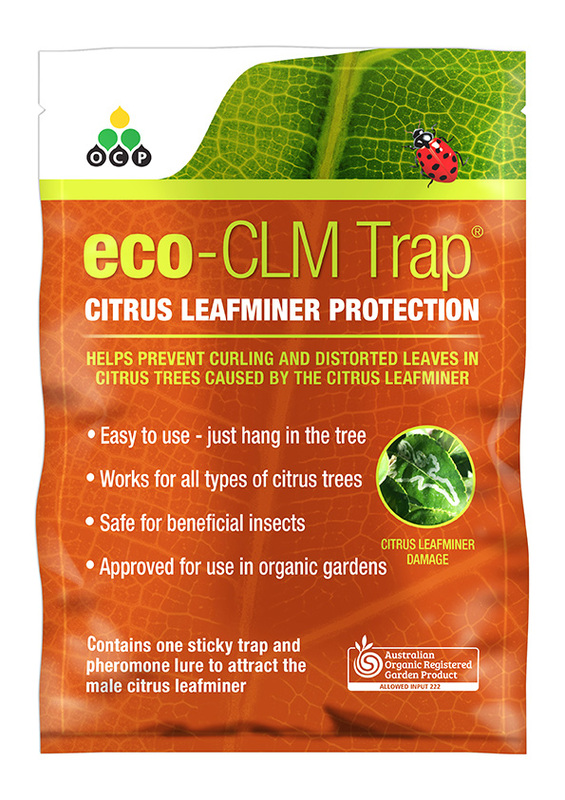 If you have citrus leafminer problems with your citrus (and it would be a rare thing if you didn't), there is now a bee friendly product available. 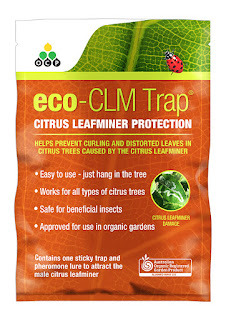 It is called eco-CLM Trap which has a powerful pheromone attractant and is absolutely irresistible to male citrus leafminers. This trap does not contain any poisons, it is a long lasting sticky trap which will last around 8-12 weeks. For more information on this product please visit eco Organic Gardening. If you'd like to know more about this critter there was post written January 2014 about the effects of citrus leafminer, what it looks like, when it first appeared in Australia and lots of other stuff! Entering Roses in the Coffs Harbour Show? Is Autumn Colour Possible on the Coffs Coast?